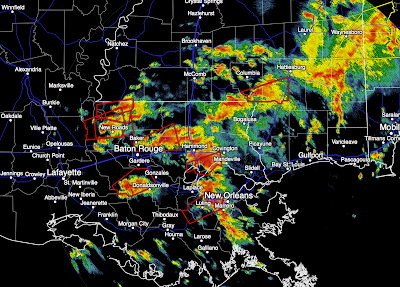 While covering a small geographic area, a tornado outbreak is currently in progress in southeast Louisiana and southern Mississippi. See tornado watch below. Several tornadoes have been confirmed. If you live in the tornado watch area or have friends/relatives in the area, you may wish to call them to ensure they are following the weather this morning.